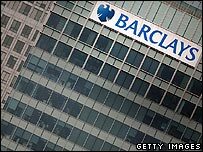 Barclays Bank has become the latest UK bank to post strong half-year profits, though this was offset slightly by settlements on UK overdraft fees. Pre-tax profit at the bank rose 12% to £4.1bn, supported heavily by record earnings at its investment bank arm. Profits at its UK retail banking business grew 9% to £651m. Barclays said it had refunded £87m in settlement payments to customers who claimed they had been overcharged for overdraft fees. Other bank charge refund costs announced by UK banks this week have included £79m from HBOS, £39m from Lloyds TSB and £116m from HSBC. The costs come from the widespread practice of settling the cases out of court. Now, though, nine banks and the Office of Fair Trading have agreed to submit a test case to the High Court to see whether the charges - imposed for breaching overdraft limits - are legal. Barclays put part of its healthy profits increase down to the performance of its investment banking arm, which saw earnings rise a third to £1.66bn. The bank also said its takeover bid for Dutch group ABN Amro was still on track, promising that should the deal go ahead it would "significantly accelerate" its growth ambitions. The next stage in its bid would start on Monday 6 August, when - if regulatory approval was forthcoming - it would begin buying back shares worth £2.4bn. That, it said, should help boost its share price, thus raising the value of its offer for ABN. At present, its offer is slightly below that of a rival bid from a consortium led by Royal Bank of Scotland. "Our ambition is to be one of the handful of universal banks leading the global financial services industry," said Barclays chief executive John Varley.